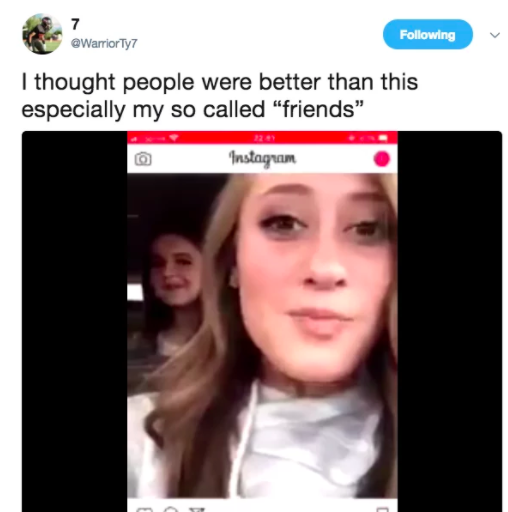 The 10-second video, which went viral after a high school football player posted it on Twitter, shows the girls taking turns repeatedly yelling “serggin cuff.” When rewound and uploaded onto Instagram, they were chanting a racial slur, said Lane Findlay, a spokesman for the Weber High School district in Ogden, Utah. Although the video was recorded off-campus, which restrains school officials' ability to discipline students for their behavior, Findlay noted that there are exceptions when student conduct “creates substantial disruption” and negatively impacts the school environment. “In this particular case, the video that was made created a substantial disruption at Weber High School and adversely affected many students, including some of our minority students,” the district said in a lengthy statement. Three of the five teens were also members of the Weber High School cheerleading team and are thus “held to a higher standard,” as they signed a “constitution (code of conduct) that applies on and off campus,” the district noted. Officials, however, would not detail how the students were punished, citing the teens' protection under federal student-privacy laws. Four Weber High School students told BuzzFeed News they were told the teens in the video had been expelled from the school. BuzzFeed News reached out to the family of one teenager involved to confirm, but did not receive a response. “Everyone was horribly shocked. We even had an assembly about it because kids won't stop talking about it,” said Erick Andrade, a senior. Carlos Rodriguez, who said he recently transferred from Weber to Ben Lomond High School and used to date one of the teens in the video, said that while he had heard the students had been expelled, he believes its possible they were suspended. The girls told school officials they were “playing around” when they recorded the video and the racial slur was not directed at any particular person, Findlay said. The students “expressed sincere regret” and apologized, he said. But the district spokesman said the students knew what they were doing. After the story spread across social media, the district said that the students, their families, and the teen who first publicized the video were bombarded with attacks, including death threats.